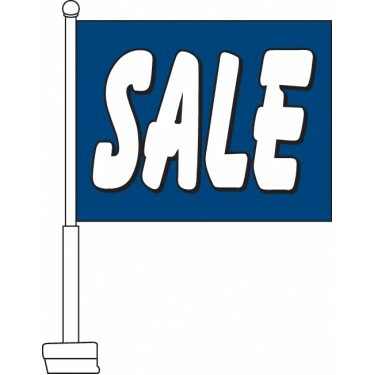 Our Sale (Blue & White) Car Flags feature the word "Sale" emblazoned in white upon a vivid blue background. 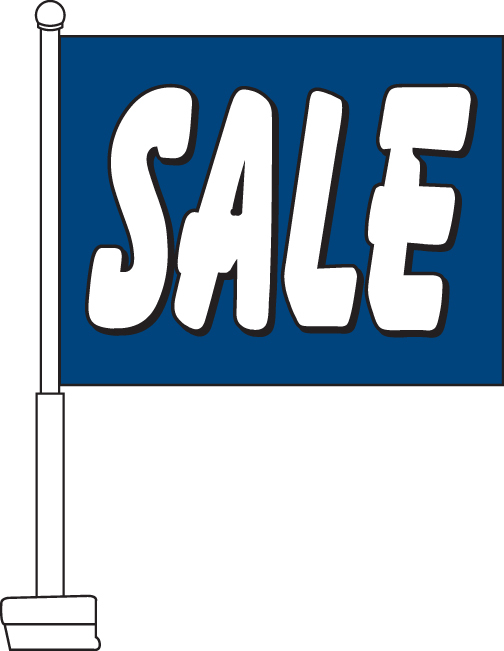 This flag is ideal for car dealerships seeking to promote the fact that a particular car is on sale. 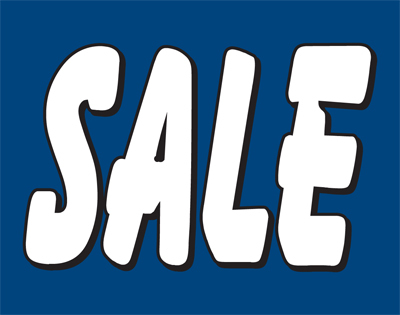 They can also be used to decorate an entire cat lot of vehicles that are being offered at discount prices. If you are a car dealership then these well-designed, eye-catching flags are the perfect way to promote your business.